Have you ever considered purchasing a handbag that’s created from recycled plastic bottles? Well if you’re fashionista that’s environmentally conscious this is the post for you! 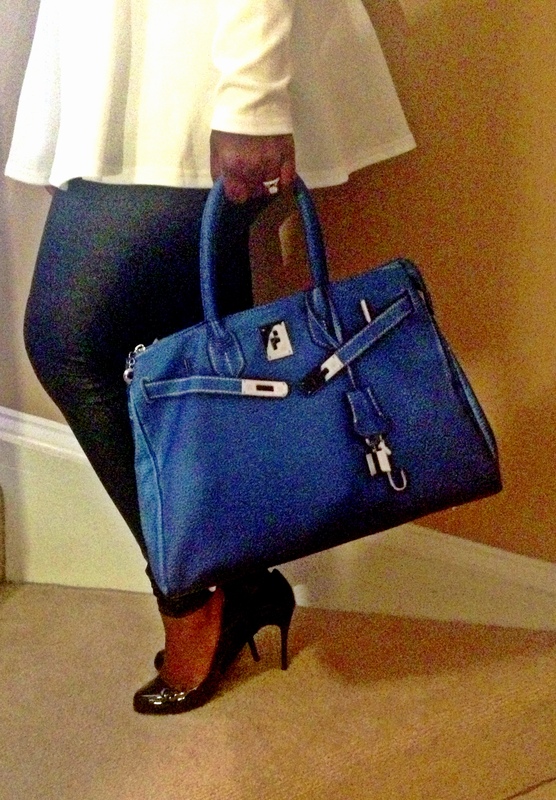 The Underground Chic handbag collection’s one of the hotest “birkin inspired” handbags that any girl can have for a reasonable price. According to the site, “at first glance, the bag appears to be real leather with metal hardware” but in actuality this polyester based handbag’s made from recycled plastic bottles. Talk about innovative and eco-friendly! The Underground Chic handbags also come in a variety of “girly” colors such as pink, citrus, green, orange crush, and nautical blue. And if you’re searching for a fashionable cosmetics bag (to keep all of your favorite lipsticks) you can find one on the site as well. I was super excited to receive my Nautical Blue (gifted) handbag. In my opinion, this color will look great for the upcoming season (fall) and coordinate with several items in my wardrobe. Again, prices for this collection are reasonable (so you can’t go wrong) and don’t forget to join their newsletter for brand updates. Happy shopping fashionistas from SLF!